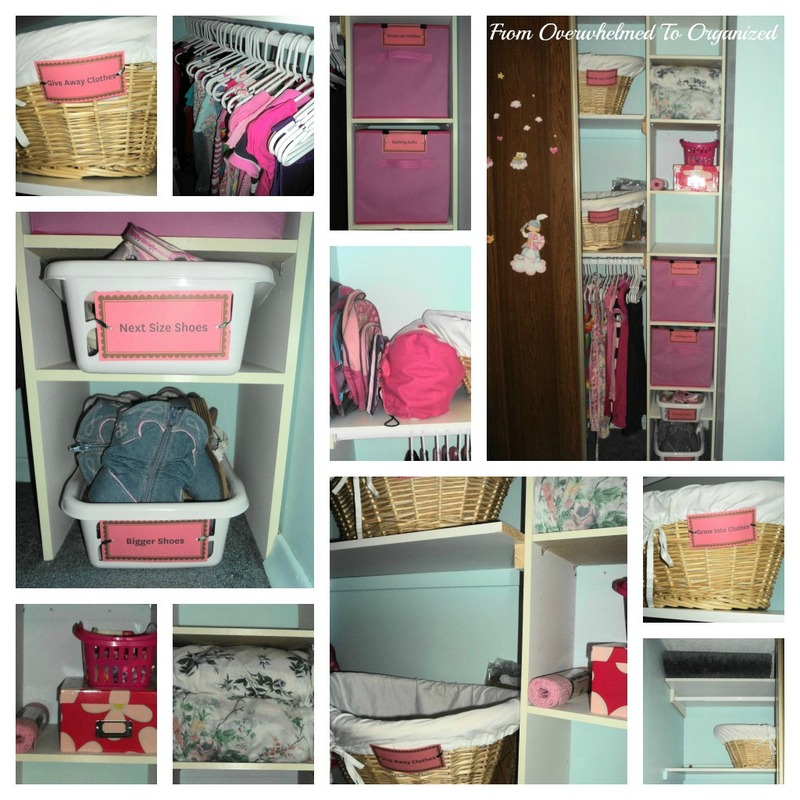 My daughter's closet is mostly used for storage because most of her clothes are kept in her dressers (yes, that's plural...if you haven't read my last post you can go do that now to find out why!). The only clothing items in her closet are her dresses and skirts on the lower rod (including some for her to grow into). Her closet is not very big. When we first moved in, it was a basic layout with a rod and a shelf above it. 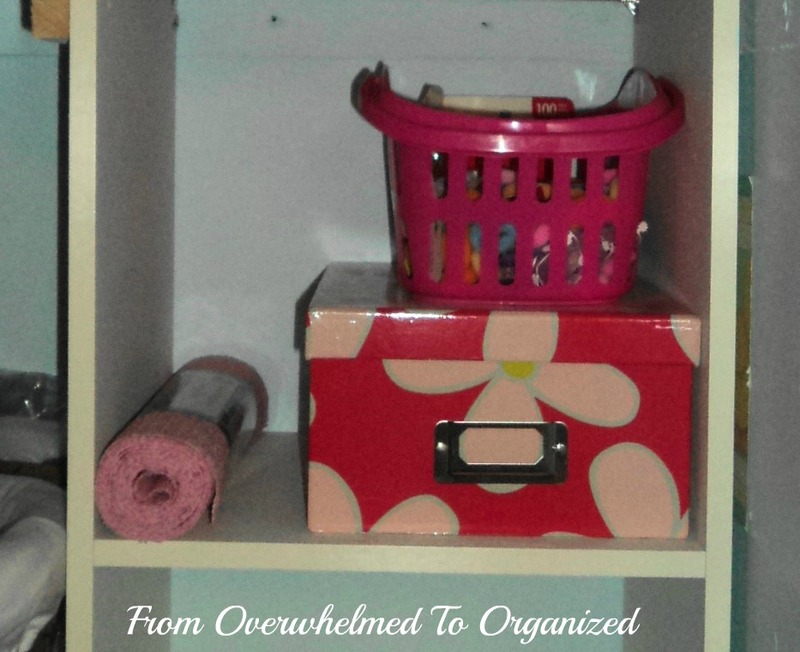 When my son was born (this used to be his room) my dad put in a closet organizer for us that is much more practical. 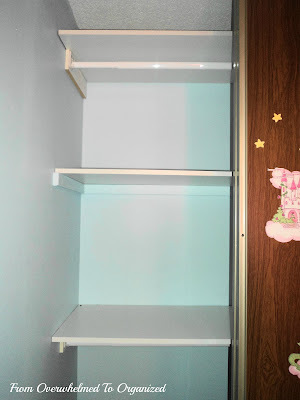 The left side has 2 shelves and 2 rods (the lower one is under that bottom shelf and is perfect for kids' clothing). The right side it has a tower of small shelves. And there's a long shelf across the top. 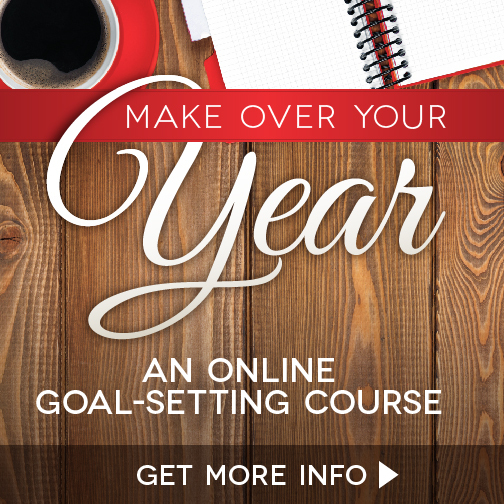 This is a much better layout with more vertical space available! Some of what is stored in her closet is hers, but a bunch of it is not. There are a lot of things that just "accumulated" there. When she was little it didn't matter as much that her closet housed items that weren't hers, but now that she's getting older I'd like her closet to contain all her own things. So my primary goal in purging and organizing her closet was to relocate everthing that did not belong there to more appropriate places so there would be more space for her things (including some of her toys that end up all over her room!). 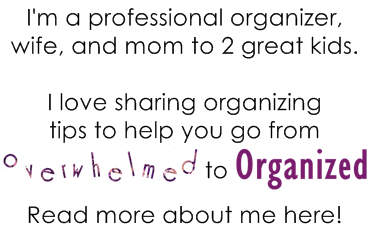 On the tower of shelves are bathing suits, sheet sets, shoes to grow into, and a whole lot of miscellaneous items that have accumulated there over the years. The bottom big shelf has a box of clothes that are too big for her that I haven't put in her extra dresser yet, as well as her giveaway clothes box (you'll recognize that box from the last post - I took these pictures before purging and organizing her dressers), and a few other items that have accumulated there. 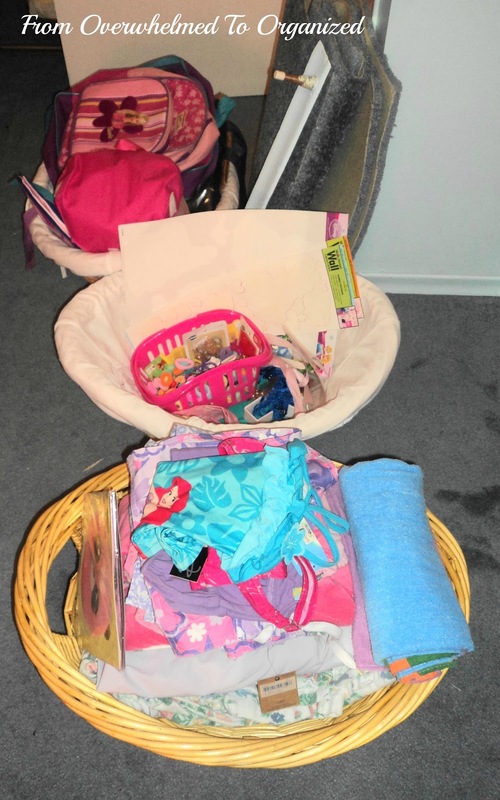 The top big shelf holds several jackets and raincoats, her sleeping bag, some items to give away or sell, and some other things that really don't belong in her room. The very top shelf is not very tall so it's not used for much (plus I can't reach it without a stool!). There's some carpeting that we're storing there because someday we may take out our fireplace and chimney which currently takes up a large corner of her room. If we do that we will need this carpet to go on that part of the floor. There's also a box for her monitor so we can sell the monitor in its box at a garage someday. On the floor are some extra backpacks that we use for things like day trips or swimming lessons, some shoes that are too big, a couple of pieces of baseboard that need to be put back on her wall, and a hockey set she got as a gift last fall but never opened because it got buried under stuff. My daughter also tried on lots of shoes, jackets and bathing suits to see what fit and what didn't. The shoes and jackets that fit her now went to the main floor to be stored in our shoe organizer or hung on the coat hooks. I also went through her dresses and gave away the ones that were too short for her. Here's our "relocate" pile. The basket was overflowing by the end! 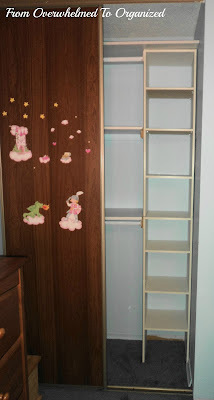 Here are some of the items: a bunch of sentimental things (my old baby spoon/bowl set, musical toy, wooden puzzle & a few clothes I wore when I was little), a shelf from our microwave stand (no idea how it ended up in this closet! ), a few blankets that she won't normally use, a strip of the border we put up when my son was born, a babysitter memo board, and that hockey stick (so she can play with it!). Next I grouped the items that were going to go back into her closet. There was a lot less stuff now! 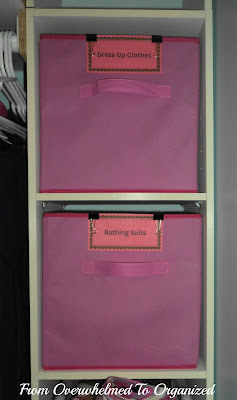 I bought these pink bins at Dollarama and put her bathing suits and towel in one of them. 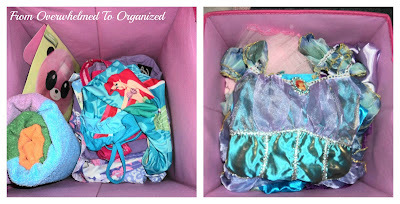 I also took some of her dress-up clothes from her little (and overflowing) dress-up trunk and put them in one of these bins. I read a tip on another blog (sorry I can't remember which one!) about storing sheet sets inside a pillow case to keep everything together. It looked so neat on that person's shelves and my daughter's sheets were so messy before so I thought I'd try it too. I love it! 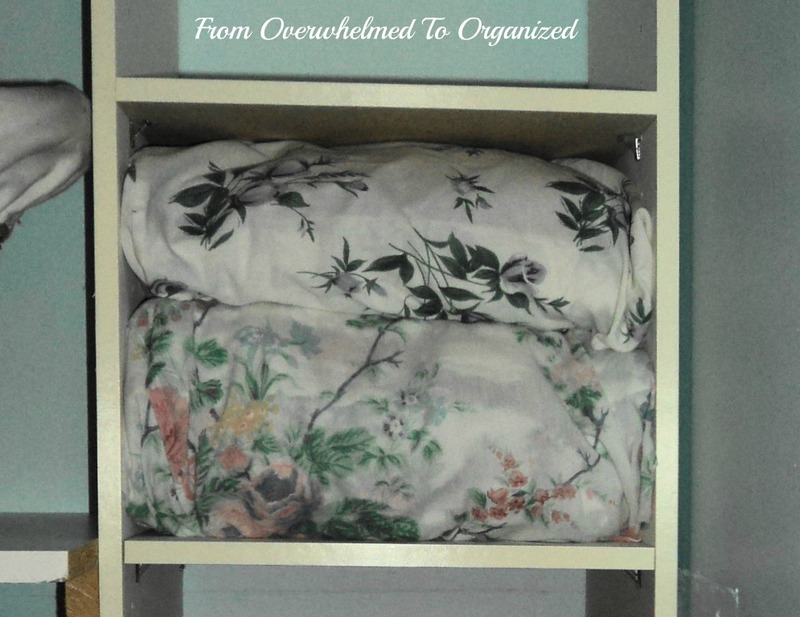 It's much more compact and organized than before and no more sheets hanging off the shelf! I organized my daughter's dresses by size and season. Summer ones that currently fit are first, then fall/winter ones that should fit next fall/winter, and then some bigger ones after that. 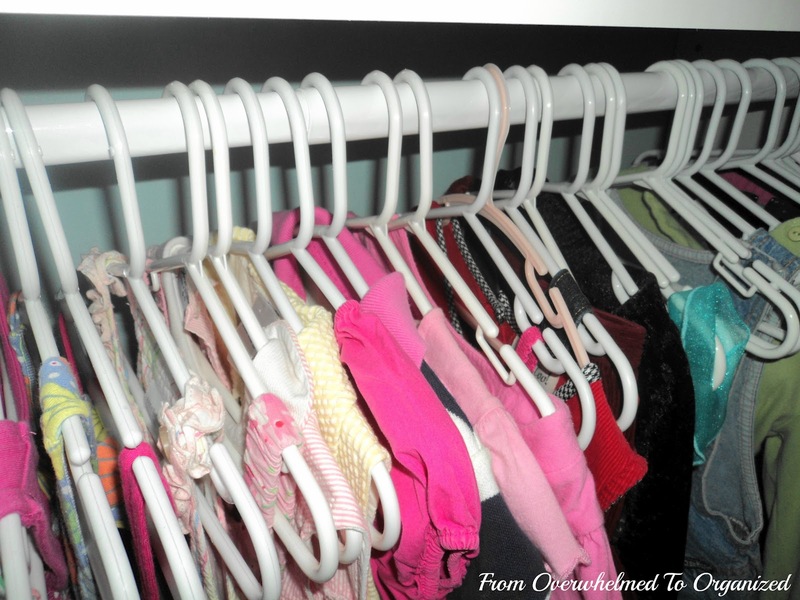 I love that her hangers all match. 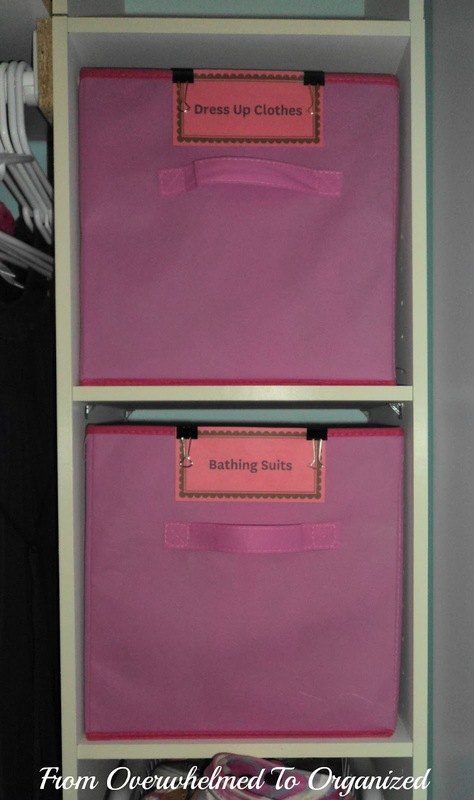 It makes the closet look more organized! I really would like to hang her extra backpacks on the closet doors, but they are sliding doors so I can't do that. 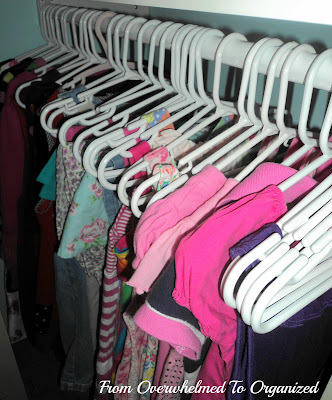 And there isn't really enough space anywhere else in her closet to put up hooks. So, they are standing up on a shelf, ready to be grabbed when needed (better than on the floor floating around under her dresses!). I also put a basket on the upper shelf for clothes that are too big and are waiting to be put away. I know, I could just put them in the extra dresser as soon as they arrive, but realistically, I don't, because I find it's easier to do a bunch at once so I can shuffle drawers & labels if necessary. 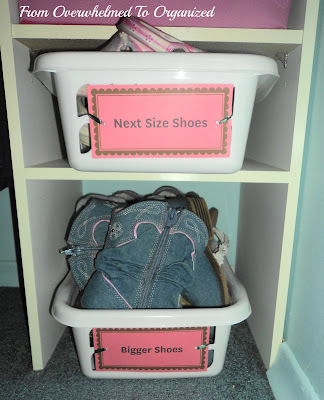 I bought these plastic baskets from Dollarama to store shoes that were too big for her. 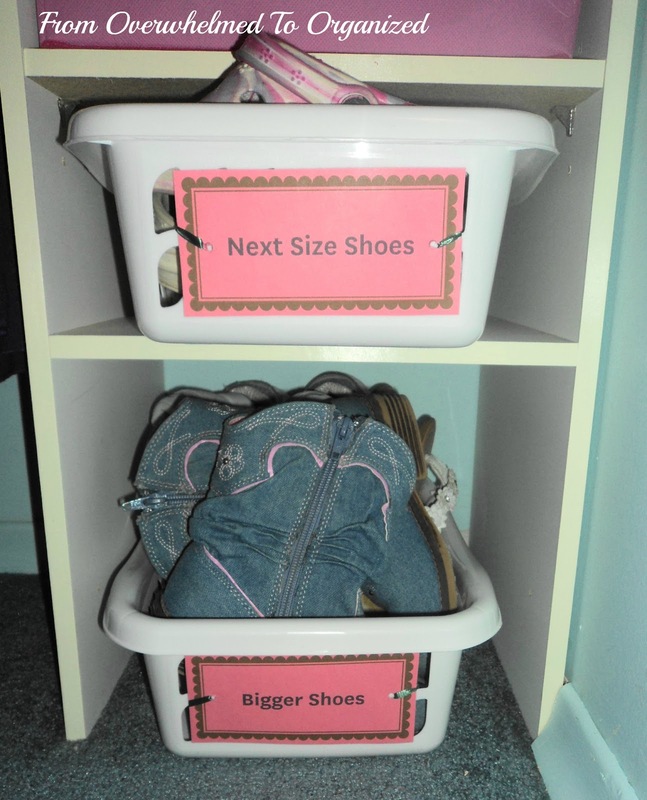 I labeled them "next size" and "bigger" so I wouldn't have to keep changing the labels as her feet grow. 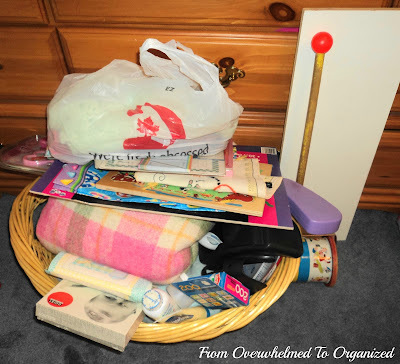 I had this pink storage box for awhile and wasn't using it so I decided to put some of the various little items that just need to stay in her closet but that don't need to be accessed very often. 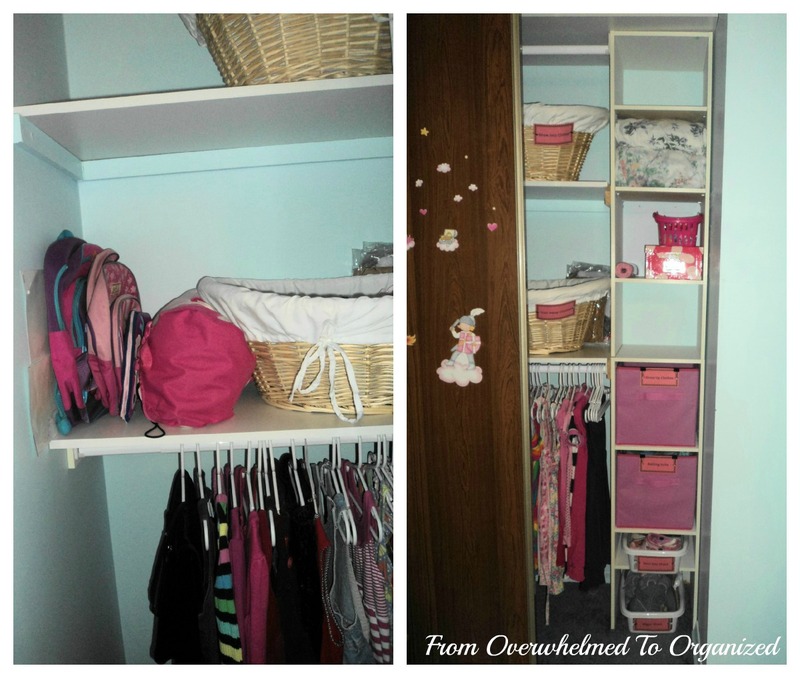 There's so much more space in her closet now! When I organize her toys and the rest of her room I'm going to see what else I can store in her closet so the rest of her room stays neater in the future. I'm so happy with it! It's finally a closet for my daughter's things instead of a dumping ground for other items. Her closet went from overwhelming to organized and I think it's set up now to stay this way. She helped me with a bunch of it and she can read the labels on the bins so she can always find what she needs and put it back where it belongs. OK, maybe that's a stretch but a mom can dream can't she?! 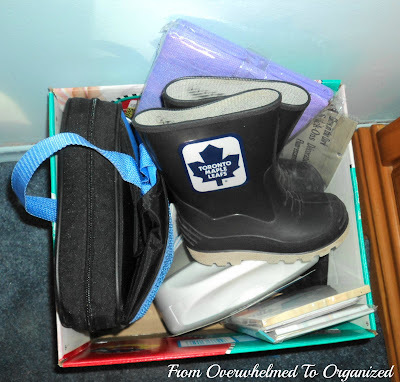 What do you store in your kids' closets? 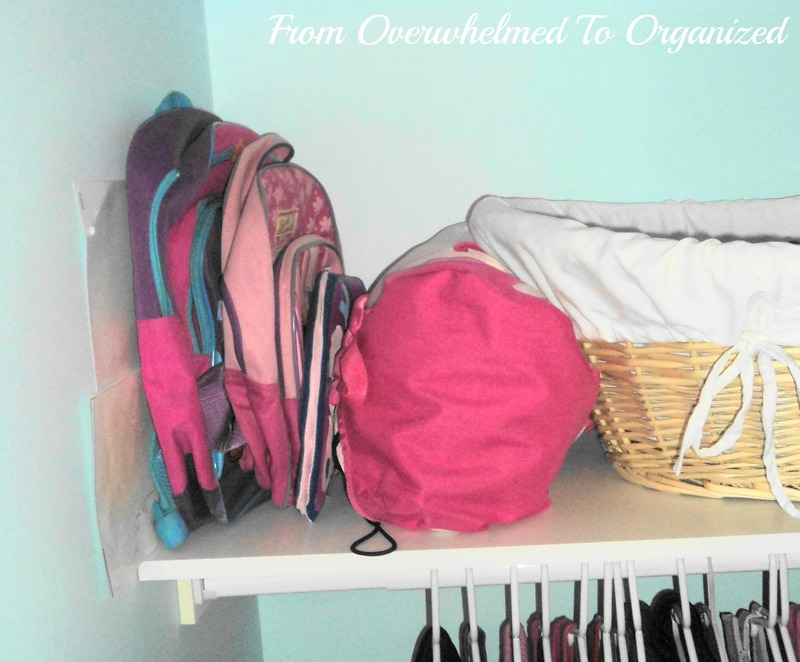 Do you have a closet that makes you feel overwhelmed? 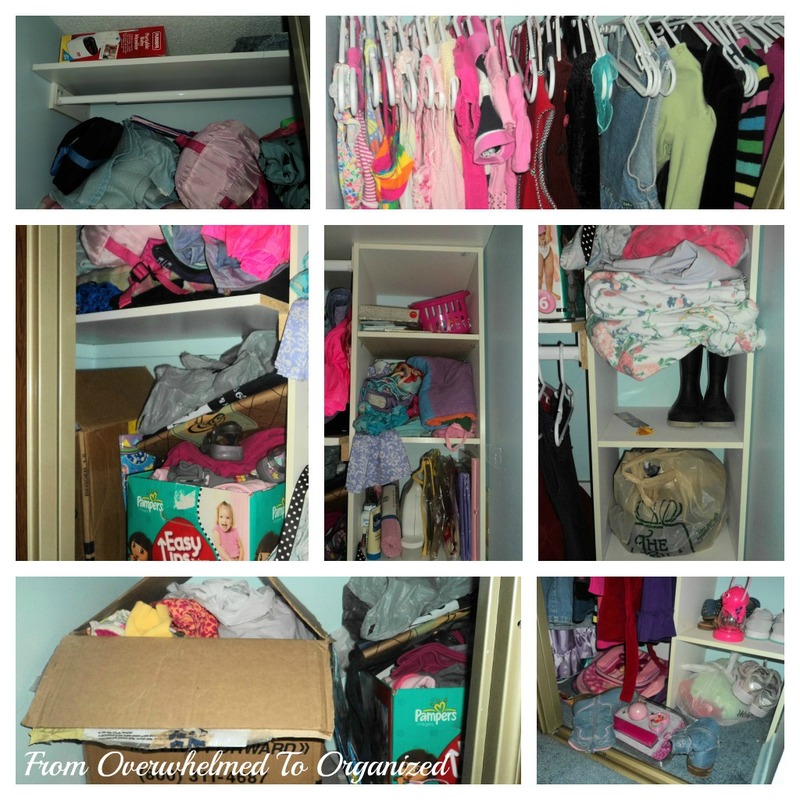 Have you ever started cleaning a closet and realized a lot of the things in it belonged somewhere else? 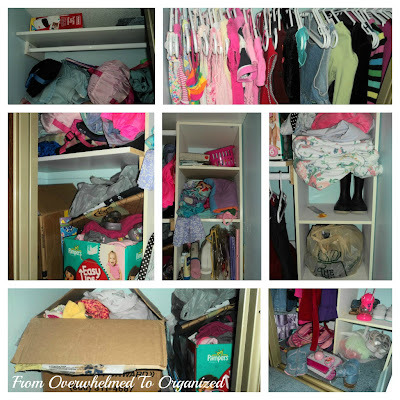 I'd love to hear your closet stories! nice job! I'm working on closet organization too and hopefully I'll be as successful as you! 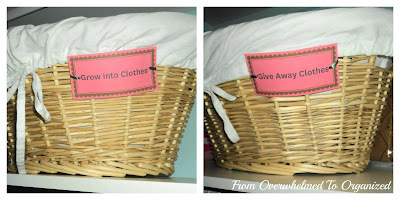 I love the idea of baskets for clothes that are too big. 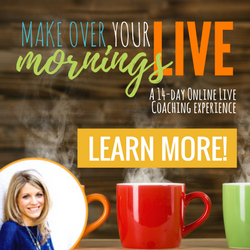 Thank you so much for linking-up! 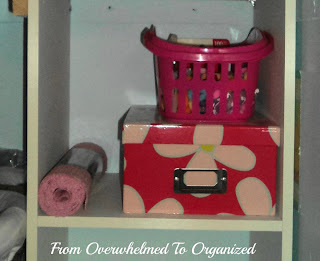 I am always more motivated to organize my house after reading your posts. 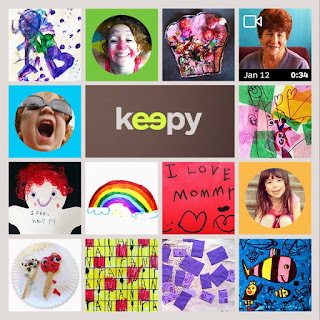 Thanks so much for sharing at Terrific Tuesdays! 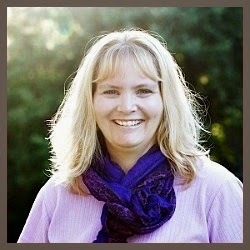 Thanks Lisa. Good luck dealing with your pile! great use of cubbies and bins and baskets. Nice job! 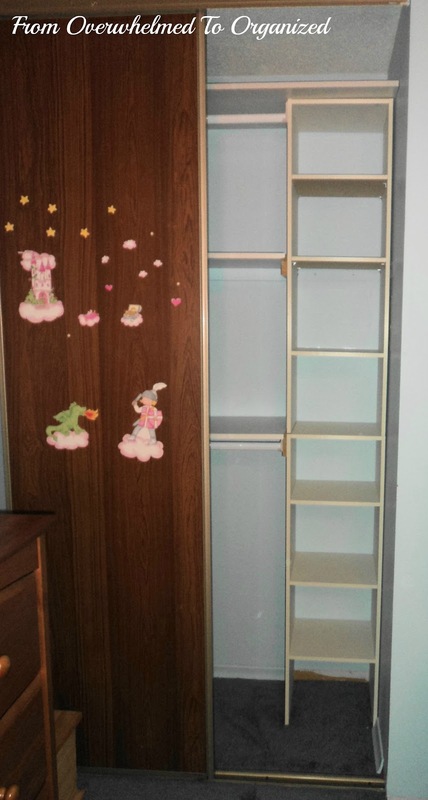 All those shelves and cubbies look so handy!